Creamware sauce tureen from a dessert service in which pieces are variously marked “Neale & Wilson”, “Neale & Co”or are left unmarked. 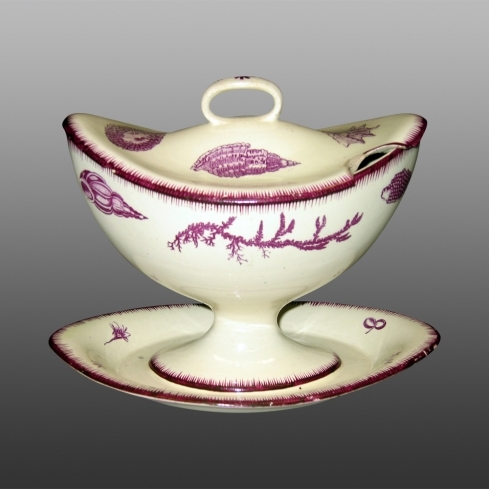 The decoration of seashells and seaweed is printed over-glaze in puce with a maroon border painted in a shell-edge design. The service once belonged to Mrs. Perez Morton an American poet and friend of George Washington.